So, circa 2004, I had just moved to Richmond for a teaching job and was armed with books. I scored an awesome apartment, and had daydreams of swanky dinner parties dancing in my head. And circa 2004, all the people in my social circle were vegetarian, and I had not yet learned their ways. 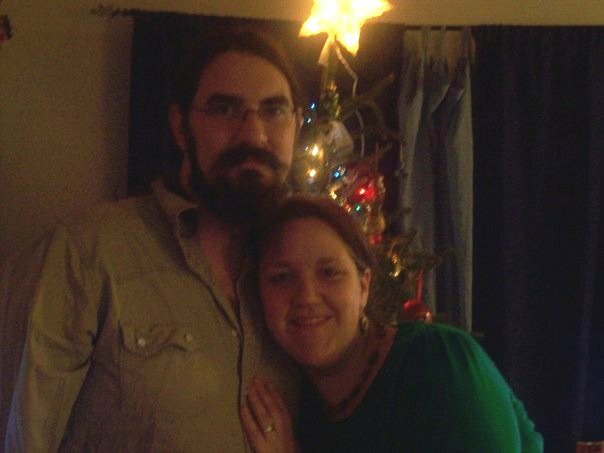 Most luckily, circa 2004, I met someone who would become one of my best friends in this lifetime: the awesome and famous LeighAnn-oh-Ramma. She and her bass-playing, premiere-chef hubby were both veggie circa 2004. Fresh from Boone, North Carolina, we all played music together, explored the city together, and–most frequently–ate together. LeighAnn is the most loving, generous human being I know. She is my surrogate family, she is a sister, and she is frickin hilarious. My husband believes that being around LeighAnn brings out my truest Punky nature, and I’m ok with that. 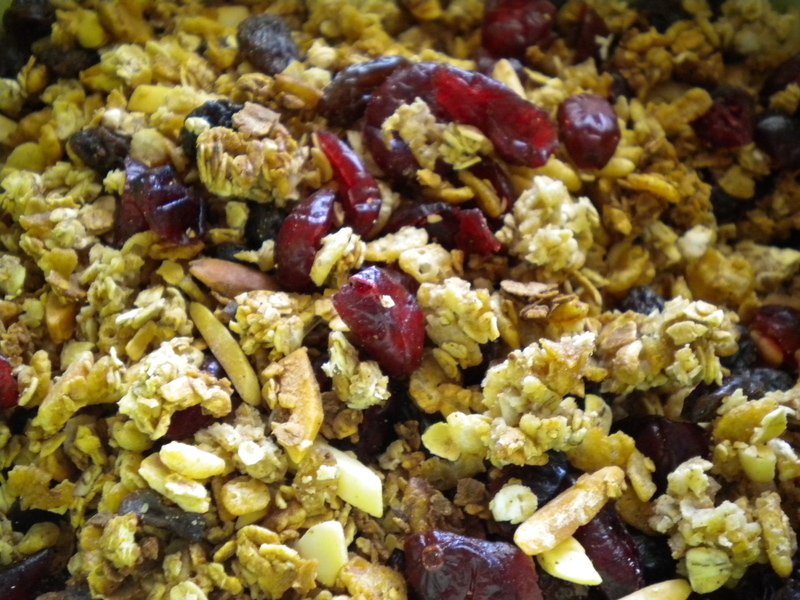 ….and my replica of a Hallmark card is over, and here is where I would like to share with you a very vegetarian-friendly recipe that my dear LeighAnn shared with me: her mama’s granola recipe, first sampled on a crazy night after the Avett Brothers show around Christmastime at The Orange Peel in Asheville, NC. Circa 2008. 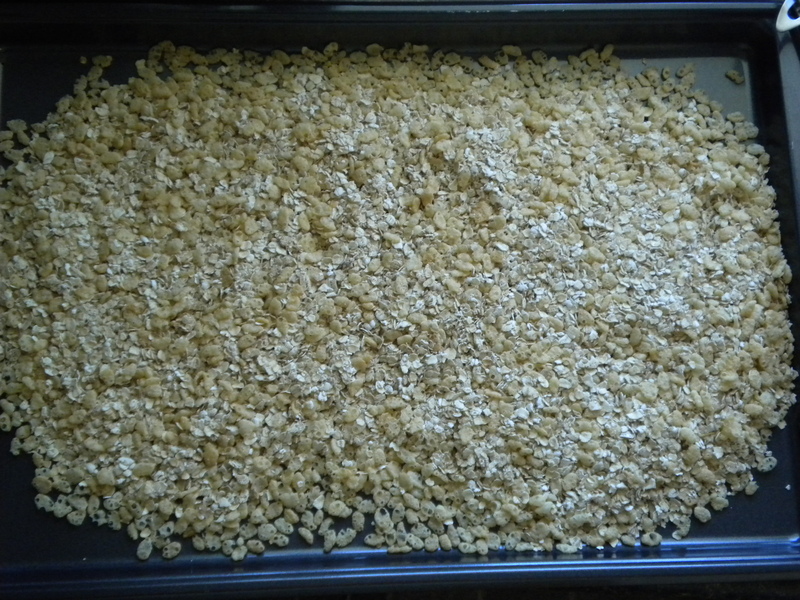 2–Mix 3 cups uncooked quick oats and 2 cups of Rice Krispies together and spread’em out on a non-stick cookie sheet (make sure it’s a real cookie sheet, one that has sides). Bake for 10 minutes and stir it just one time, one time. 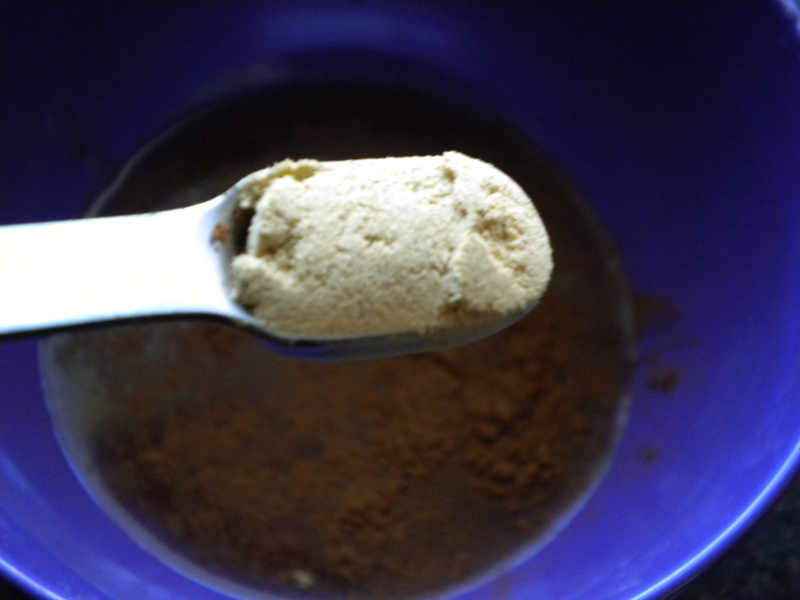 3–IN THE MEANTIME, mix yourself up about 6-7 T of honey, 1 tsp. 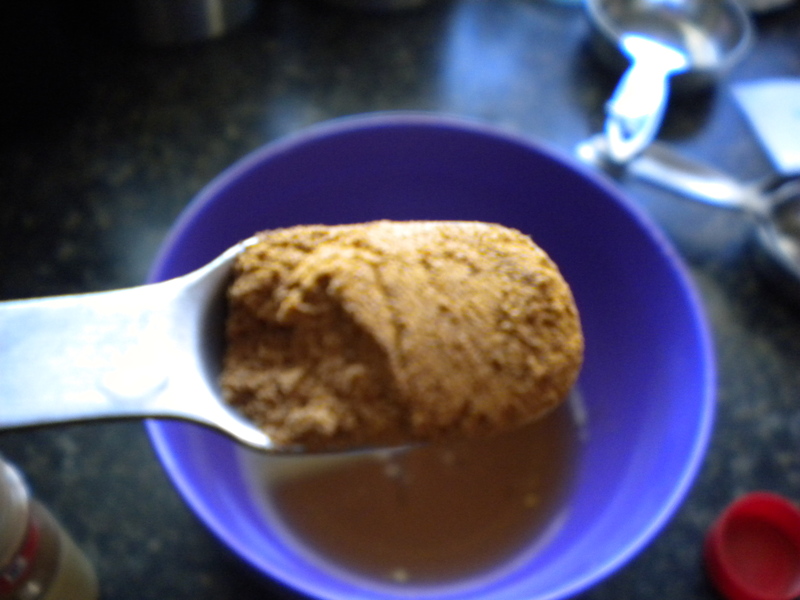 canola oil, 1/4 cup apple juice, and 1/2 tsp each of ground cinnamon, ground ginger, and vanilla extract. 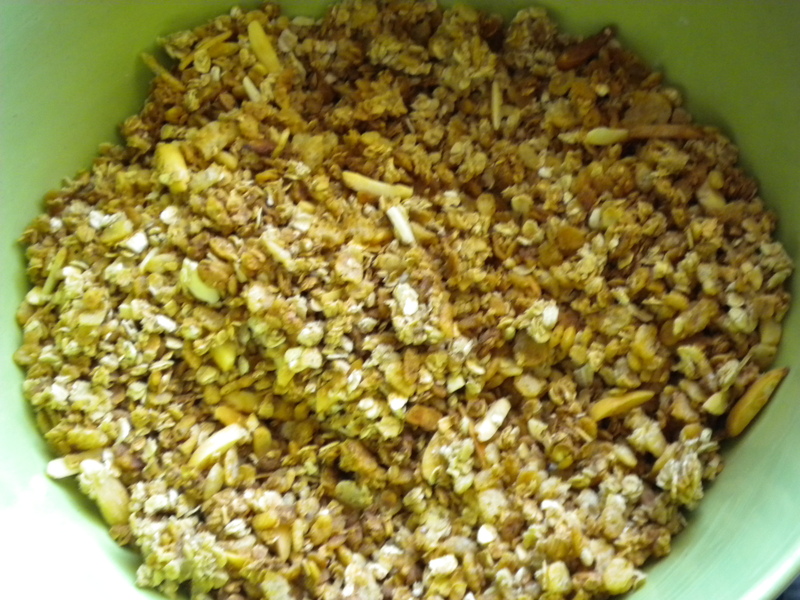 4–CAREFULLY spoon your cereal mixture back into a bowl and add about 1/4 cup slivered almonds and mix the sucker up. NOTE: I am incredibly clutzy, spaztic, clumsy–insert favorite adjective for “not careful” here. And while I feel silly admitting this, thought you oughta know in case you, too, are like me: I had a hard time pouring this back into a bowl without making a ginormous mess. If you can identify, just take a deep breath, go carefully and slowly, and whatever you do, do NOT let go of the cookie sheet! 5–Pronounce the honey and cereal mixes husband and wife by pouring the honey mixture over the cereal mixture, stirring until one and the same (coated). 6–Pour it all back in the pan and bake for 15-20 minutes, stirring occasionally and making sure the cereal along the sides doesn’t burn! 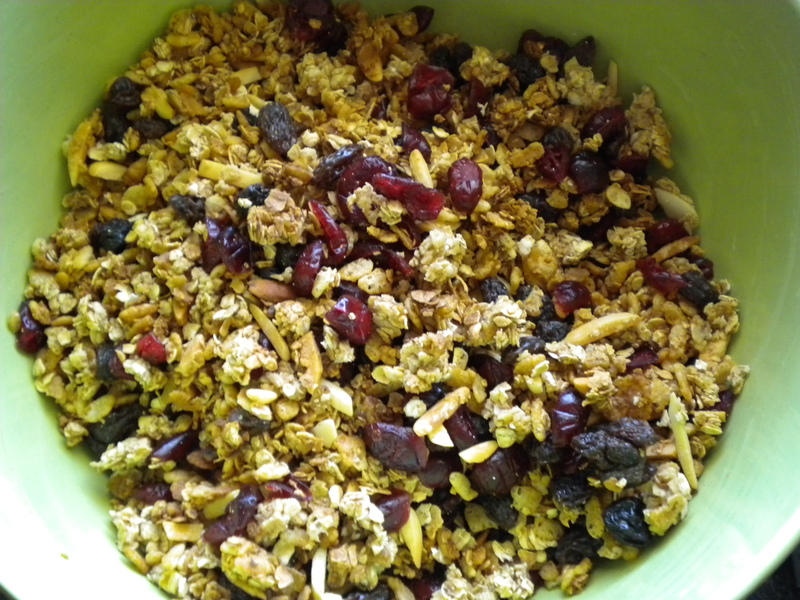 7–Stir in 1/4 cup dried cranberries and 1/4 cup raisins, cool it off, and set it in an air-tight container. NOTE: I love dried cranberries, so I just went ahead and added more. Very interesting!!! 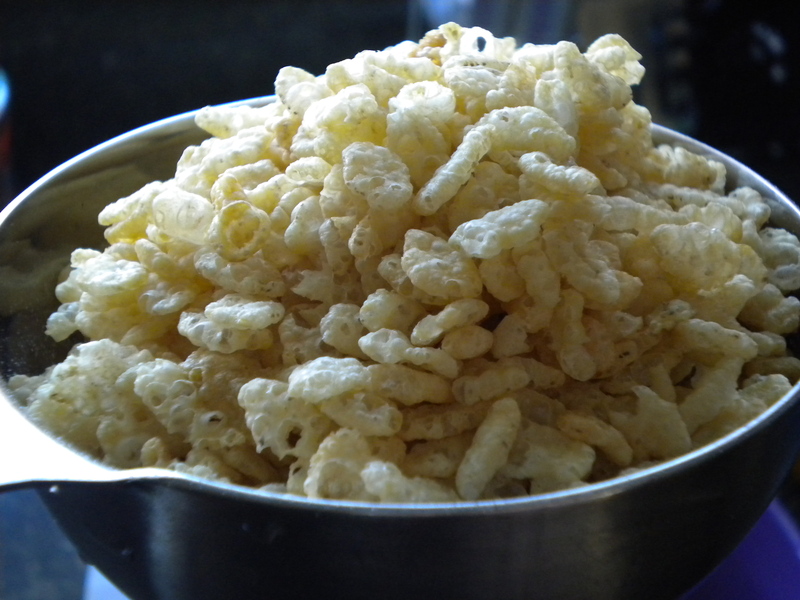 We love those Kashi cereal brands, but I have never thought about making my own. Until now. 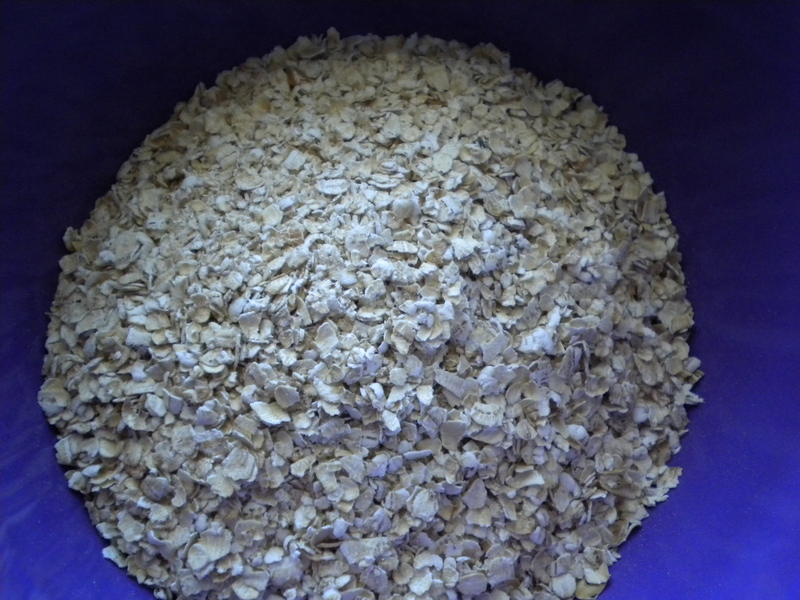 Does it have to be quick oats, or can I use the thick, rolled oats that they sell at the Well? Thanks for keeping up with these recipes, it is fun waiting to see what you will come up with next. You can definitely use the old-fashioned oats; in fact, many people do. This was the first time I made this, and I just followed the original instructions. BUT! I might try it that way next time for variation and testing. 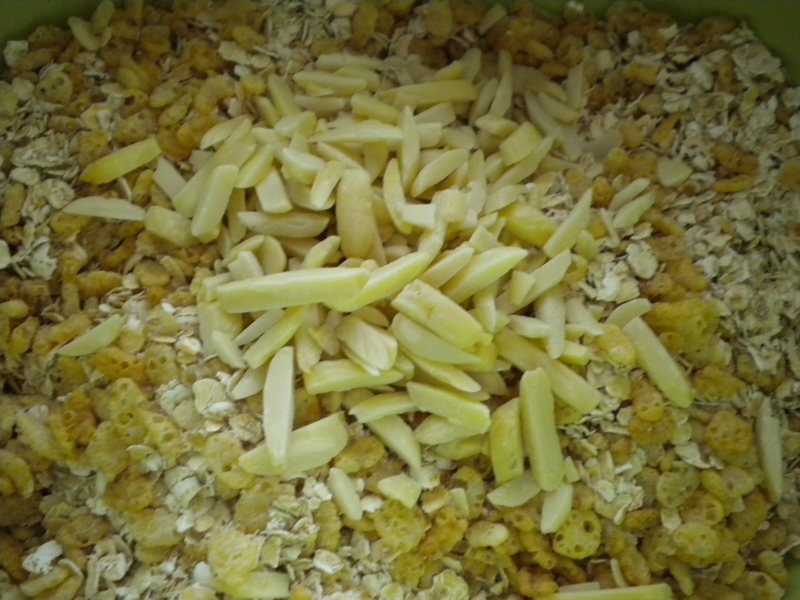 If you try it with the oats from the Well, will you let me know how it turns out? Previous Previous post: pantry raid? Next Next post: do you know the muffin, mon?